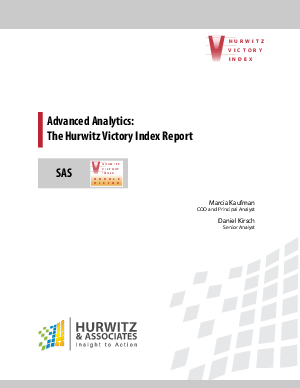 The Hurwitz & Associates Victory Index on Advanced Analytics provides insight into customer best practices, market trends, and vendor capabilities in the advanced analytics market. Most companies use advanced analytics to discover patterns and anomalies in large volumes of data, and then use this insight to predict the outcomes of future events and interactions. However, some organizations are still not using advanced analytics, not realizing the benefits it can provide your organization. Download this whitepaper to learn the advantage of advanced analytics and see what your IT team needs to know to see this translate to explosive growth.